Congratulations to our students who were named to the Huskie Athletics All-Academic Team for the 2015-16 season. The Huskie Athletics All-Academic First Team includes student athletes, managers and trainers who have obtained a sessional average of at least 79.5 per cent on a minimum course load of 24 credit units. The CIS Academic All-Canadian team were CIS athletes that had at least an 80 per cent average on a minimum of 18 credit units. These athletes used CIS eligibility last year. 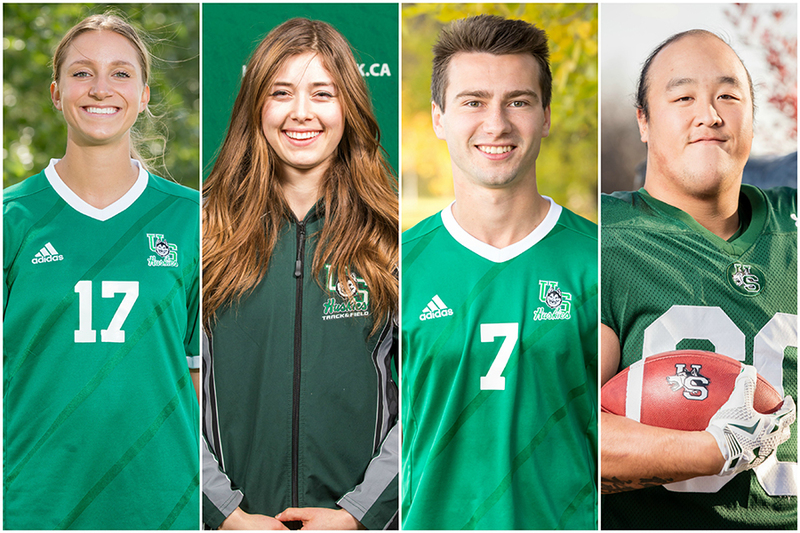 The Huskie Athletics All-Academic Second Team consists of student athletes, managers and trainers who have obtained a sessional average of at least 74.5 per cent on a minimum course load of 24 credit units.